Delivering prompt professional grinding of any size stump. We can handle stumps of an trees: Oak, Palm, Pine, Ficus, etc. 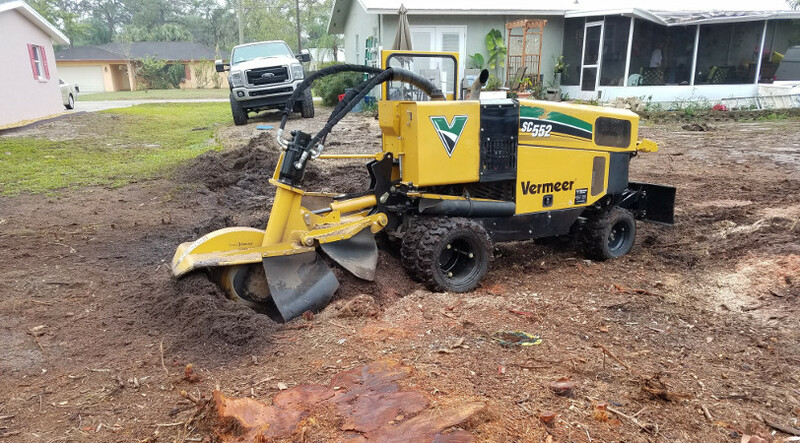 Our brand new American-made turbo diesel stump grinder can handle the biggest stumps weather standing or blown over. Servicing Sarasota to Punta Gorda. We utilize the newest nicest equipment, ensuring that we grind it deeper than our competitors and we leave the site neater and cleaner. 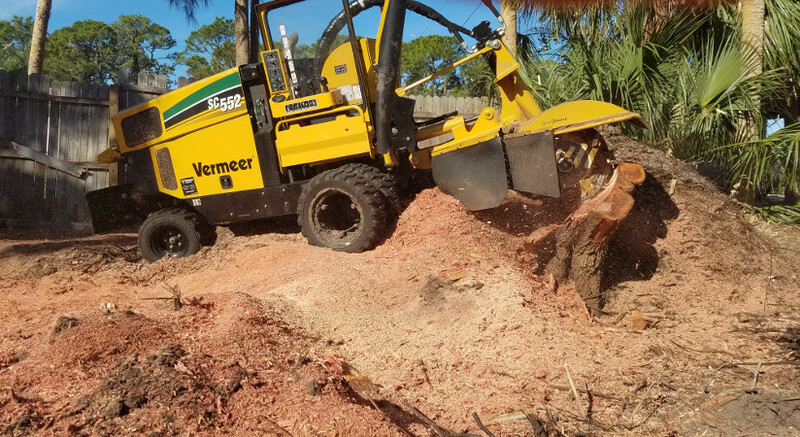 We can handle one stump or hundreds.